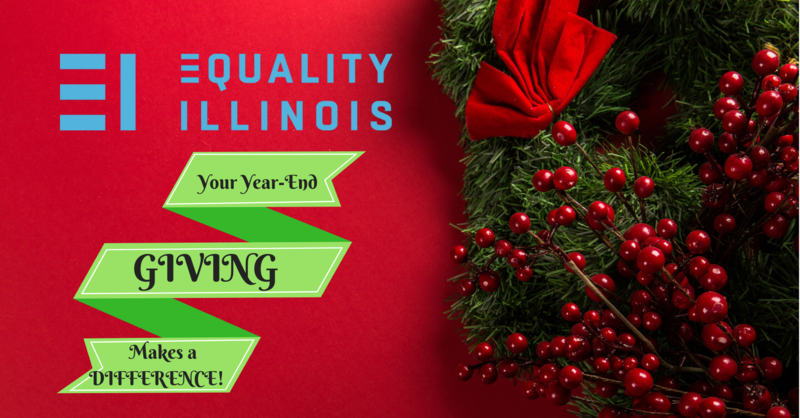 As Equality Illinois comes to the end of another successful year of serving LGBTQ Illinoisans, we want to THANK YOU for your contributions and volunteer service! Today, we are calling on your support to participate in our annual “Year-End Giving Campaign” as we continue to pave a future free of bias, bigotry, and discrimination. 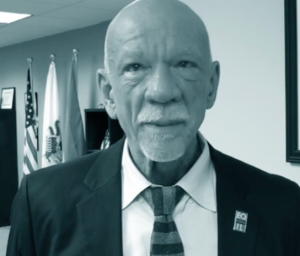 Your contribution will continue work that proves hate is not an Illinois value. In 2019 we look forward to continuing to be a shining example of what it means to standing on the frontlines of social and political advocacy. Your commitment of a “Year End” pledge or a one time annual gift, will allow Equality Illinois an opportunity to continue our legacy and tradition of education, advocacy, and service for years to come. 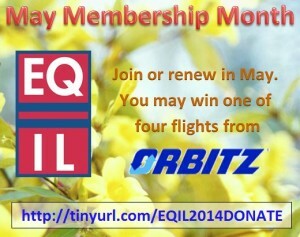 For any other gifts please contact our Director of Corporate Partnerships & Individual Giving, Melissa Benge at mbenge@eqil.org or 773.477.7173. 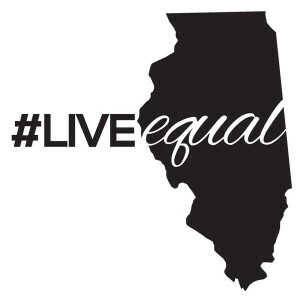 As we enter Equality Illinois’ 25th year, I look back in astonishment at what we accomplished together, and feel so positive about our collective ability to tackle the challenges ahead. If you went out in the 1970s to a bar where gay and trans people gathered, there was a chance that you wouldn’t get home that night, that the bar would be raided, you would get arrested, the media alerted, and the next day you would find yourself described in your hometown paper as a regular at a ‘pervert’ bar. And then, you could – legally – get fired from your job. That may sound like ancient history. But as recently as 2005, in most of our state, you could be legally fired from your job, legally denied an apartment or service at a restaurant if the person in charge didn’t like LGBT people. And let me tell you: the rights and protections that we as a community have today are a result of years and years of work by community activists, courageous legislators, and the loud and proud support of our entire community. 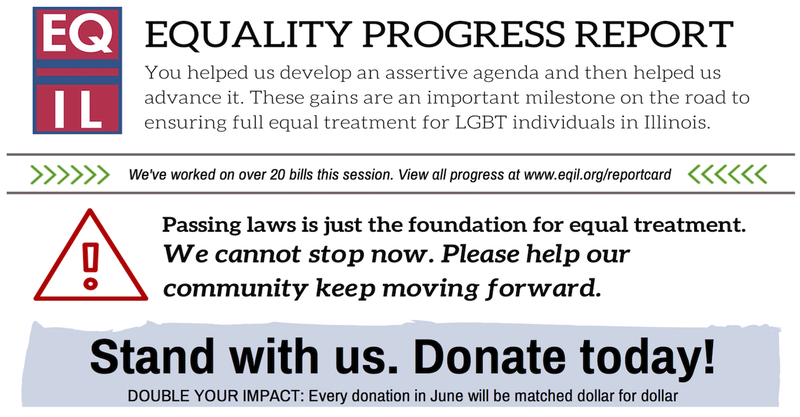 We absolutely cannot do this without you and our community is counting on you to step up — make your donation of $25 or more to celebrate 25 years of advances for equality by clicking HERE. Our community has come a very long way, but translating the legal victories into actual, lived equality is work that takes focused effort and vigilance. The transgender community in particular still faces disproportionate rates of violence and widespread lack of access to quality healthcare. LGBTQ-identified students are still more likely to be bullied in schools. So how do we, after such momentous victories, keep going to ensure full, lived equality for all in our community – especially those most vulnerable? 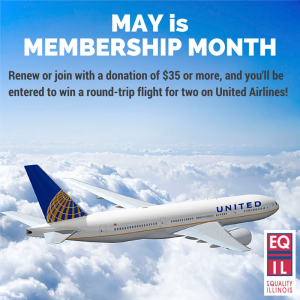 One way is by supporting the work of Equality Illinois. 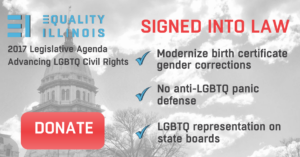 Regardless of whether you’ve given generously in the past, or just now have the chance, please join me in recommitting to the crucial next steps in Illinois for this movement. 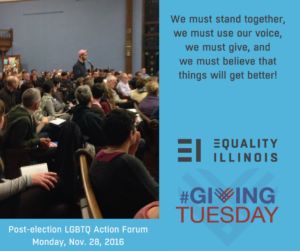 This is your perfect opportunity: all donations made in September will be doubled, as Equality Illinois enters its 25th year. 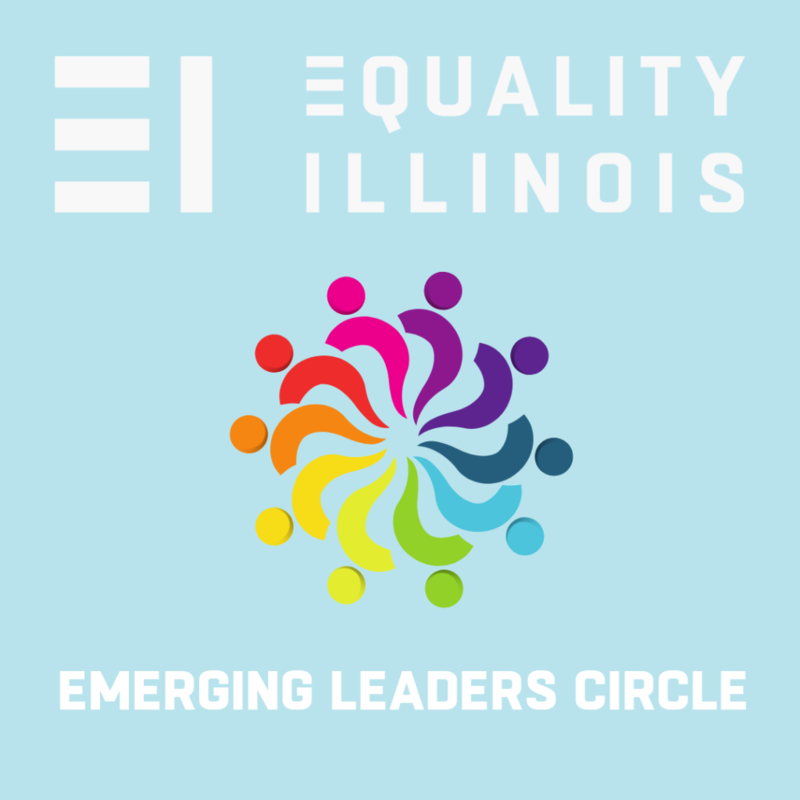 Contribute $25 to celebrate 25 years, and MillerCoors will double that to fuel Equality Illinois’ important work that lies ahead.